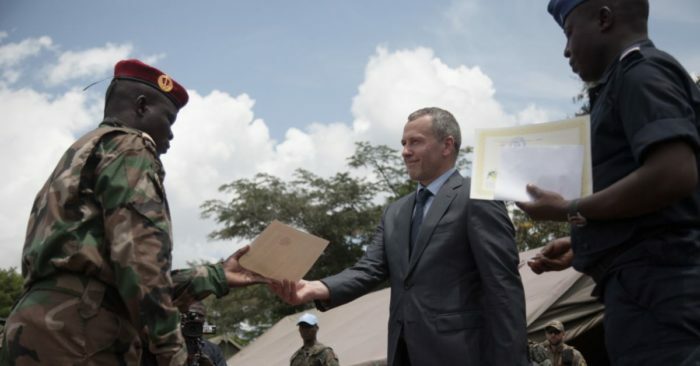 FILE - Victor Tokmakov, first secretary of the Russian Embassy, presents graduation diplomas to graduating recruits in Berengo, Aug. 4, 2018. Russian military consultants set up training for the Central African Armed Forces after delivering weapons to the country. 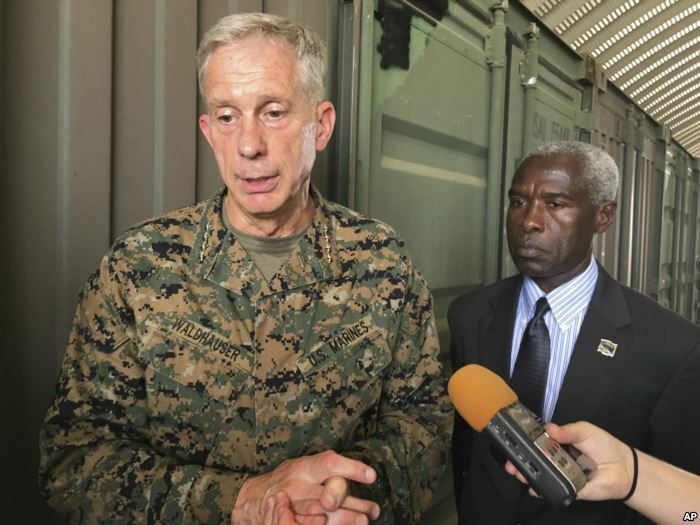 FILE – Gen. Thomas D. Waldhauser, left, commander of U.S. Africa Command, speaks in Dakar, Senegal, July 30, 2018. “We are a country that has endured a grave crisis, and we are returning with great difficulty because we don’t have the means to control everything that happens in our territory,” CAR Defense Minister Marie-Noelle Koyara told VOA’s French to Africa service this past October. 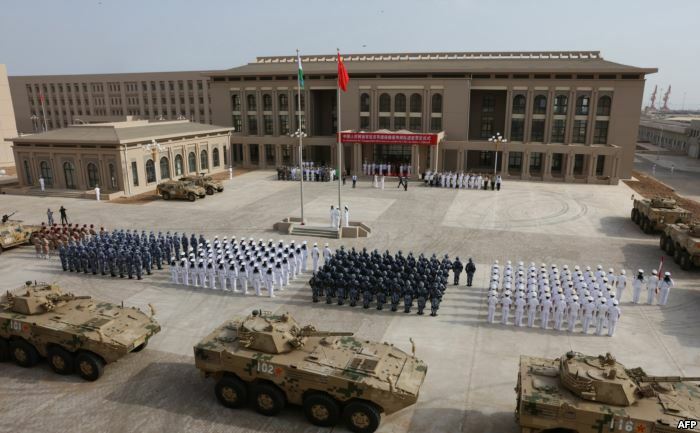 FILE – Chinese People’s Liberation Army personnel attend the opening ceremony of China’s new military base in Djibouti, Aug. 1, 2017.